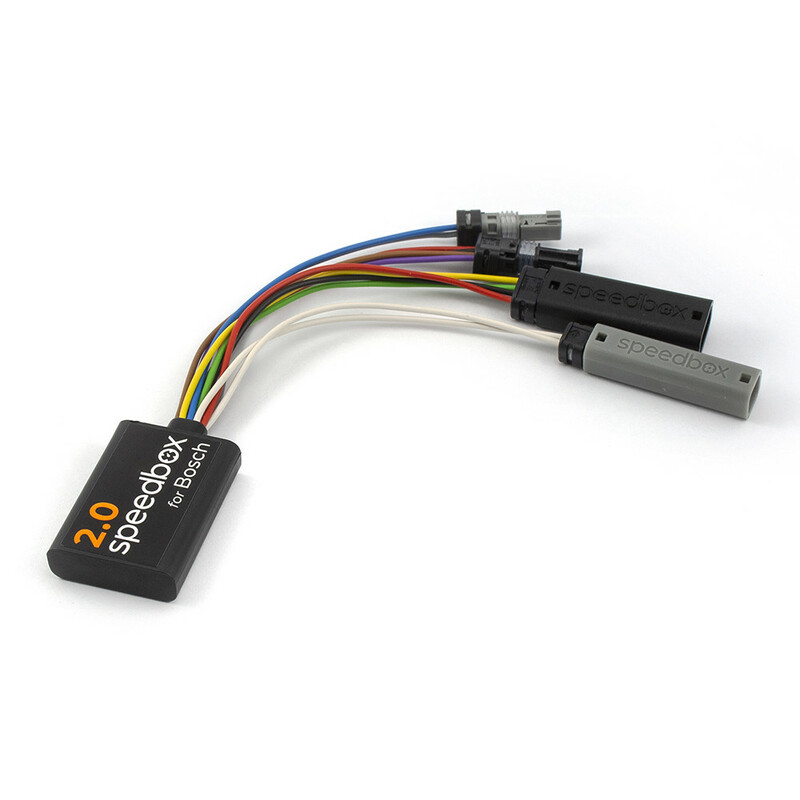 SpeedBox2 for BOSCH is a revolutionary process-control module which suppresses the speed limiter of your electric bike. 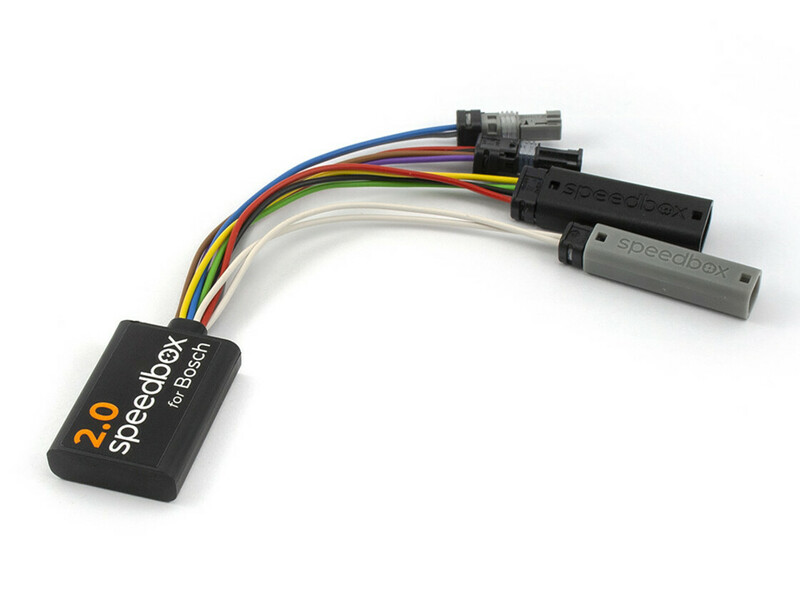 After installation and activation of your SpeedBox for Bosch the display will show actual values. Values such as maximum speed, average speed, distance travelled daily and range are displayed correctly. The SpeedBox2 is activated by briefly pressing the WALK button located at the front of the control panel. After pressing this button, the current speed of 9.9 km/h is displayed on the control panel for about 3 seconds. This means that the SpeedBox2 is activated. When the WALK button is pressed again, the current speed of 2.5 km/h is displayed. This means that the SpeedBox2 is deactivated, and everything works as if the speedbox had never been installed. The supplementary assistance of your electric bike now works up to its original speed limit of 25 km/h.